In my memory, the Eighties are tinged with Seventies colours and filled with sherbet sweets and fur trimmed parkas. What also decorates these thoughts are brightly coloured lines of wooden planks, towering up into four storeys of danger and fun. Before the age of health and safety, there was the hand made, hand built, community supervised, well named ‘adventure playgrounds’. Our local one was down the road; at a run, two minutes from door to door. Racing down by the fence and screeching around the corner, colour colour everywhere, you would see a backdrop behind the brightly painted wooden towe; a painting with as much energy and life as you had whilst being there. 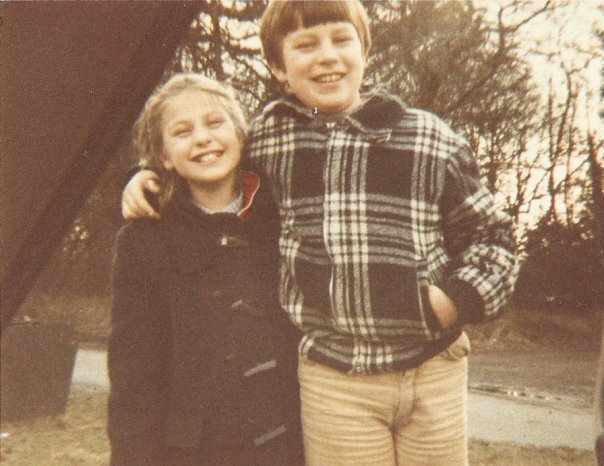 The kids in that painting ran as fast as you, the helpers smiled at you, the kids swung as high as you, they wore your clothes and better still you knew them. Being brought up in Brixton, the world seemed to me full of murals, but this one was Our One. Like photos on your wall at home, they showed our community family, our policemen, our local vicar, our playground helper and our friends. It is wonderful to see it is still there even though the kids have grown up and some of the adults have moved on or passed away. Here they are immortalised. 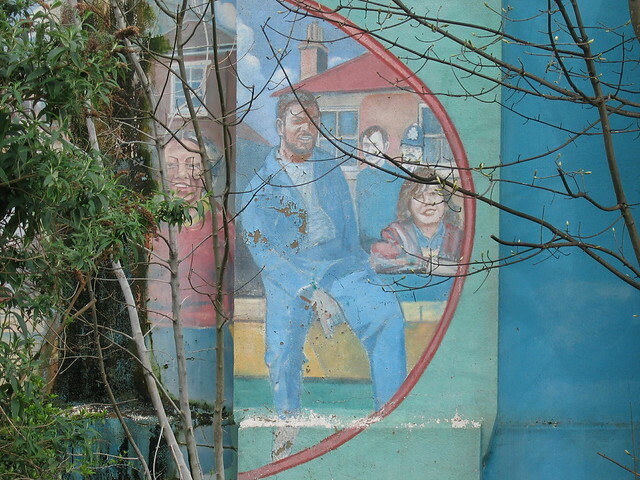 This mural is a snap shot, a window to the past, a window to the world that existed when this playground was built, a reflection of what that playground is all about. As Brixton changes and I feel less and less like I belong here, I can look across at this mural and remember that once I did and that I was a part of that history because somewhere in a corner I am just off screen, in my hand-me-down duffle coat, using my fingers to dip at my sherbet as I’ve eaten the stick, and chasing my brother who’s stolen my Beano. I am in that mural. Just out of view. 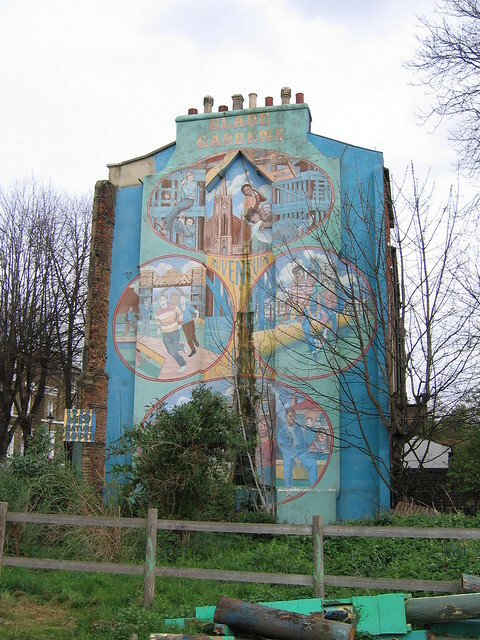 This entry was posted in London Mural Preservation Society, My Favourite Mural and tagged Brixton, Gordon Wilkinson, Sarah Faulkner, Slade Garden Adventure Playground, Stockwell. Bookmark the permalink.